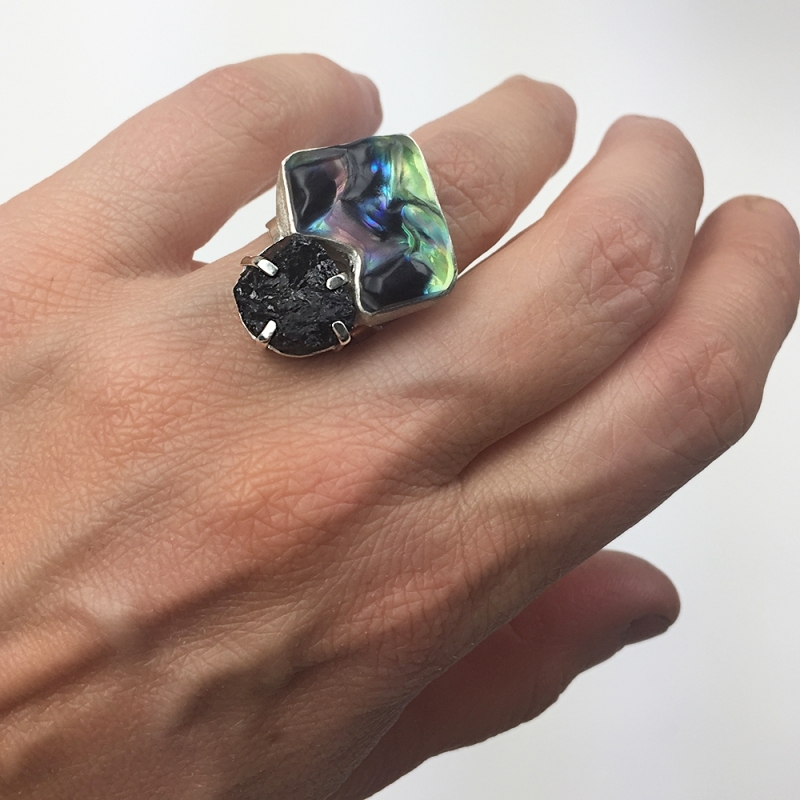 This bold ring catches the light and changes depth of color depending on the angle viewed. Crafted from sterling silver (.925) and cold-worked/engraved glass. Inspired by the rocky beaches of Bermuda, this ring is one of a kind. Glass cold-working is a centuries old process which is similar to lapidary work (working with rough gemstones). 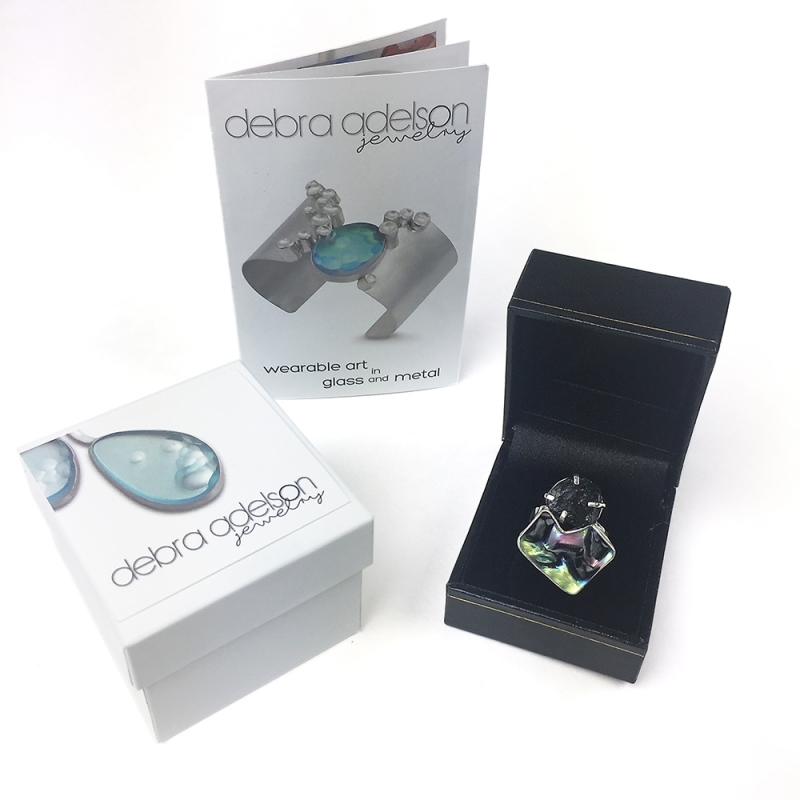 The glass starts in blocks and is manipulated with techniques including cutting, carving, sanding, drilling, and engraving. The material always remains room temperature by using water to keep it cool so it does not shatter. I only work the glass in its solid form, no heat is used at all. Each piece has been made individually, no molds are used. Each piece is signed by the artist, copyrighted, and marked .925. This ring is an American size 7, UK size O. Material(s) glass, sterling silver, black tourmaline.